Why travel to Jacksonville or Savannah when Allen can do most of what you need for your bike right here in Waycross? Allen can do tuneups and repairs on most all bikes from racing to everyday use. He has built bikes from the frame up as well as repaired and upgraded many others and raced on most of them. See what he can do for you from the list below. And... "If I can't fix it then I'll tell you to take it to Terry at Camden Bicycle Center in St Maries or Arlington Schwinn Cyclery in Jax." Bike Tech services as listed above. If it's good in Henderson, NV at the SilverMan expo... it's good in Waycross, Ga 11/7/2010. I will hold a tire and tube changing workshop anytime, anywhere, for as many as you would like. Contact me and we'll set it up. Complete bike tune up. How much? 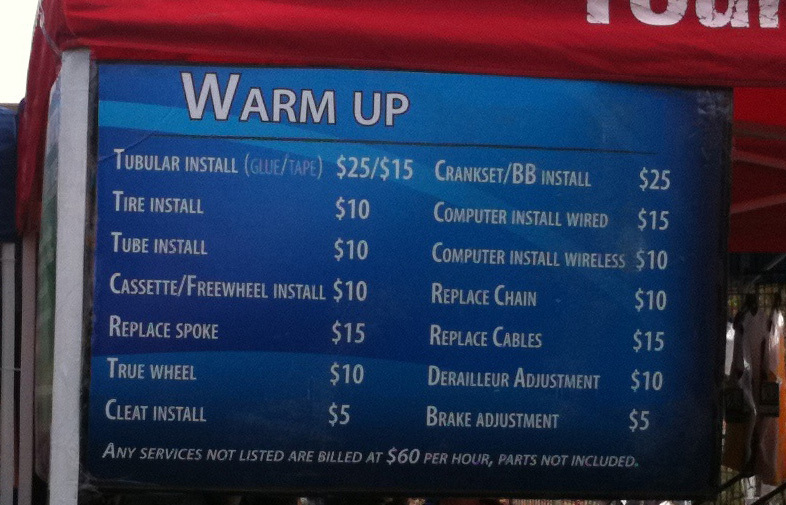 There is a customary shop charge of $60 for a complete bike tune up including all items listed above excluding parts. For individual bike tech services see the list above. I will go to YOU and pick up your bike(s) and return them when service is finished locally. We can meet at the Y.
Charles Strickland once told me... "You are the only guy I know that can take a $500 bike and turn it into a $2000 bike".